Buffalo River Economy Gunbags - Hunting and Outdoor Supplies. 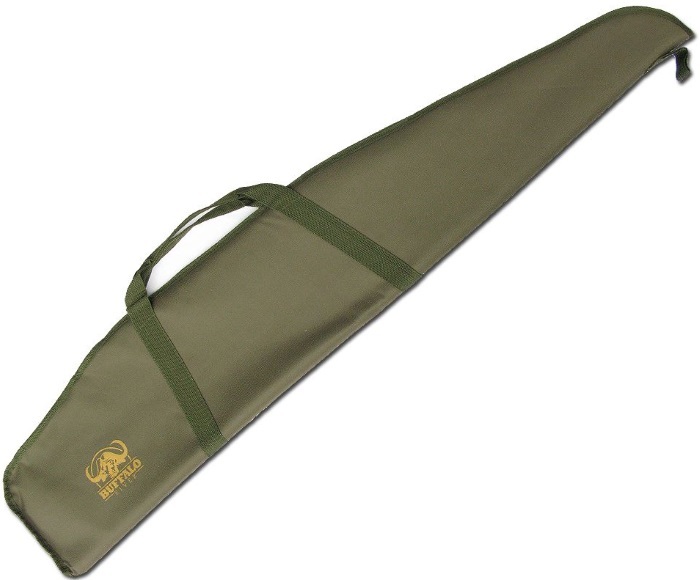 All Buffalo River gun bags have been developed by experience. This insures to match the requirements of hunters and sportsmen worldwide. High quality half zip, rugged garments and padding, proper stitching and shapes that fit the guns make them successful all over the world. This is a real 'value for money' gunbag. Designed to carry and protect all sporting rifles - with or without a scope. The shell is 'Ballistic Nylon' and the handles have been angled to keep firearms balanced for carrying. About Buffalo River - Buffalo River has been supplying hunters, sportsmen and farmers with a range of shooting accessories since 2001. Today Buffalo River products are available in over 40 countries worldwide. In 2009 the Buffalo River range of hunting accessories has been expanded and improved. Our Steel safes have been upgraded with a new anti Jemmy door. The CarryPro range of soft bags now features the new Buffalo Camo design. We have added a new Swivel bipod. The new ABS luggage cases will see you through airport travels with wheels! Our mobile cleaning center is designed to offer a full featured centre that can be collapsed for easy storage or transport to the range.